What Does “Going Wide,” “Direct,” and “Exclusive” Mean in Self-Publishing? Amazon’s KDP (Kindle Direct Publishing) is one of the major self-publishing platforms. By publishing through KDP, your ebook will be listed for sale on Amazon’s Kindle store. This is called going “direct” with Amazon (as opposed to using an aggregator to list your books on the Kindle store). Within KDP, you can enroll your books in Amazon’s KDP Select program. Books enrolled in KDP Select become part of the Kindle Owners’ Lending Library (KOLL), as well as Kindle Unlimited (KU), which is Amazon’s book subscription service. You can also take advantage of special marketing features (we’ll explore that further below). To enroll in KDP Select, the book must be exclusive to Amazon for a 90-day period. So when we say a book is Amazon exclusive, we mean it’s enrolled in KDP Select. NOTE: KDP Select and Kindle Unlimited are sometimes used synonymously on blogs and forums, but KDP Select is the author side, while KU is the consumer/reader side. 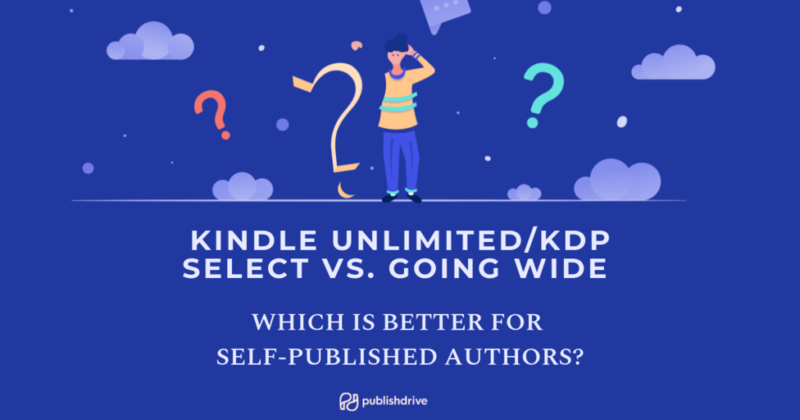 Going wide means publishing your book on multiple platforms and not remaining exclusive to Amazon’s KDP Select program. 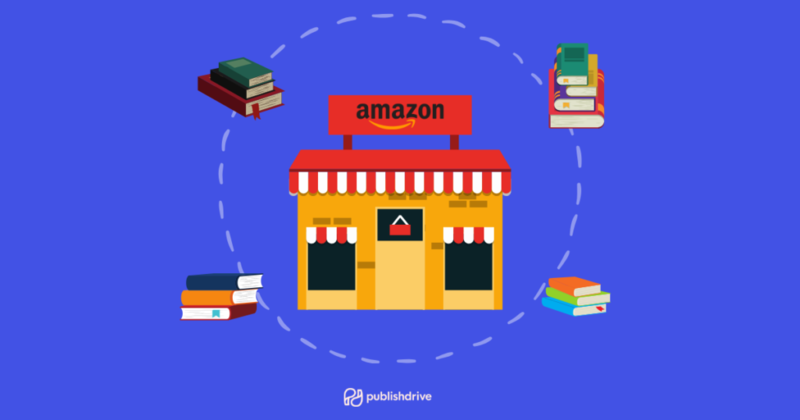 When going wide, some authors go direct to Amazon, and then use a self-publishing aggregator (like PublishDrive) to distribute to the other major stores. Every month, Amazon sets aside a fund called the KDP Select Global Fund. When KU was first introduced, authors earned a share of this fund every time a reader borrowed their book (typically about $1.50 per borrow). Now authors are paid per page. Your book’s pages are based on the word count (Amazon’s system for determining this is called KENPC, or “Kindle Edition Normalized Page Count.”) In my experience, a 50,000-word ebook will have a KENPC of about 250 pages. The KENPC pay rate changes every month depending on the KDP Select Global Fund and the amount of books enrolled. But it’s usually around $.004 to $.005 per page. So, a fully read 250-page book will earn you about $1.25. (Keep in mind that you only get paid for the pages that are actually read. A 250-page book won’t automatically earn $1.25 from a borrow). For some authors, pages read through KU make up a huge percentage of their income (which can be a good or bad thing). KU tends to perform well for specific genres. Take a look at the most popular KU books and you’ll see some trends (lots of romance, sci-fi, and thrillers). Books enrolled in KDP Select also become part of the Kindle Owners’ Lending Library, which is available for Kindle users with Amazon Prime memberships. Borrows through KOLL earn the same royalties as those borrowed through KU. Another perk of enrolling in KDP Select is the exclusive marketing features. You can boost discoverability by offering your book for free for a limited time. You can also use the Kindle Countdown feature for discounted price promotions. Amazon’s exclusivity policy is very strict. While enrolled in KDP Select, you cannot distribute copies of the book in any digital format. This includes free copies and samples. If you are offering a free sample of the book anywhere, (such as a lead magnet for building your ARC team), the sample can be up to 10% of the book’s content. So be sure to either take down free samples before enrolling in KDP Select, or make sure the sample is no more than 10% of the book. Thanks to KU’s lucrative model, some authors have managed to become full-timers while remaining exclusive, which is great! But putting all your eggs into one basket carries some risks. You have to be okay with the fact that if KU ends someday and you’re forced to go wide, you’re starting from scratch. We saw a mini version of this happen when Amazon changed KU from a pay-per-borrow model to pay-per-page. Authors who were making a killing in KU1 suddenly faced a massive drop in income and scrambled to build up their wide audience. In a post-KU1 world, I prefer to play it safe. There’s no doubt that Amazon’s market share of ebook sales is significant (especially in the U.S.), but remaining exclusive to Amazon prevents you from reaching rapidly growing markets. For example, there are millions of English-speaking people in China who can buy your books through non-Amazon retailers. By distributing wide, you can reach other valuable markets and further expand your reach. If you’re interested in building a long-term, sustainable career as a self-published author, I truly believe that discoverability is key. If you remain exclusive to Amazon, you’re closing yourself off from so many sales channels and avenues for discoverability. And don’t forget that there are plenty of reading subscription services besides KU – including Scribd and Kobo Plus – where readers can binge on your books while you earn. As mentioned above, relying solely on KU to support yourself is risky. By distributing wide, you can set a solid foundation for an author career with multiple income streams. Having your books available in multiple formats also makes readers happy. Some readers are loyal to their Nook, while others prefer Kobo ereaders or other devices. Gaining traction while going wide does take some time. Amazon’s intuitive platform does a fantastic job of getting readers’ eyes on your books. Other platforms, not so much. This is another reason why the lure of KU is so strong. But since you’re not restricted by exclusivity while wide, you can take advantage of techniques like distributing free review copies to generate buzz. For example, PublishDrive offers free review copy distribution to readers and influencers through some of the top stores. Time and investing in marketing are the keys to succeeding while wide. In terms of marketing, KDP Select does a lot of the legwork for you. So when you go wide, you’ll have to take care of this yourself. But investing in advertising, professionally designed covers, and other costs for your author business can really make a difference. I think KDP Select is an excellent choice for newbie authors. It’s a great way to learn the ropes of self-publishing and ebook marketing (it certainly was for me). But after your 90 days of exclusivity is up, consider going wide while experimenting with FB ads, offering the first book in a series for free, paid newsletters, and other marketing techniques. Saves Time: Going direct while wide means you have to upload your books separately to each platform. 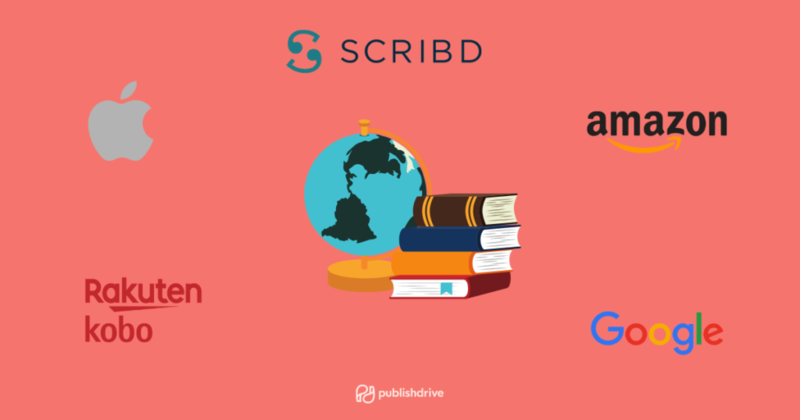 With PublishDrive, you can manage distribution to 400+ online stores and over 240,000 digital libraries through a single platform. Robust Distribution Network: When you go wide with PublishDrive, you can list your books in stores that cannot be reached by indie authors directly. We partner with hard-to-reach sales channels, such as Google Play Books, Scribd, and Odilo. Marketing Benefits: PublishDrive users have access to a built-in marketing suite to boost sales and increase discoverability. Many of these marketing tools are free! Streamlined Analytics: Distributing through an aggregator allows you to track sales and income from a single platform.